Comment: 100% guaranteed delivery with Fulfillment By Amazon. The inside pages are clean; the edges of the pages may have slight discoloration or marking. The spine is clean and solid. This book has normal shelf wear associated with a bookstore setting (e.g., scuffing, minor scratches). The cover is in Very Good condition. Purchase of this item helps the Friends raise funds for The Seattle Public Library. In light of the embattled status of evolutionary theory, particularly as "intelligent design" makes headway against Darwinism in the schools and in the courts, this now classic account of the roots of creationism assumes new relevance. 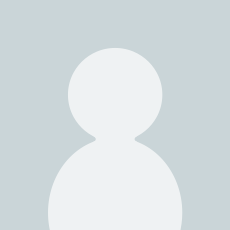 Expanded and updated to account for the appeal of intelligent design and the global spread of creationism, The Creationists offers a thorough, clear, and balanced overview of the arguments and figures at the heart of the debate. Praised by both creationists and evolutionists for its comprehensiveness, the book meticulously traces the dramatic shift among Christian fundamentalists from acceptance of the earth's antiquity to the insistence of present-day scientific creationists that most fossils date back to Noah's flood and its aftermath. Focusing especially on the rise of this "flood geology," Ronald L. Numbers chronicles the remarkable resurgence of antievolutionism since the 1960s, as well as the creationist movement's tangled religious roots in the theologies of late-nineteenth- and early-twentieth-century Baptists, Presbyterians, Lutherans, and Adventists, among others. His book offers valuable insight into the origins of various "creation science" think tanks and the people behind them. It also goes a long way toward explaining how creationism, until recently viewed as a "peculiarly American" phenomenon, has quietly but dynamically spread internationally--and found its expression outside Christianity in Judaism and Islam. 5.0 out of 5 starsThis is the go to book on the history of modern young earth creationism and highly recommended! 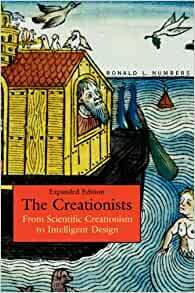 The Creationists by Ronald Numbers is a classic and comprehensive exposition of the history of modern creationism by a well-regarded historian of science and a recognized authority on creationism. This book has been on my reading list for a long time so it was a joy to finally sit down and absorb this large tome. Numbers lets us know at the beginning that his work isn't about exposing the flaws of creationism and he lays his cards on the table by admitting that, although he grew up as a Seventh-Day Adventist and held to young earth creationism in his youth, his current position is that of an agnostic. With that he begins his work. The first two chapters Numbers outlines the history of creationism from the time of Darwin up to the 1920s and focuses his attend on the importance of George Frederick Wright. Chapters three and four cover the fundamentalist controversy including the Scopes Monkey trial and especially William Jennings Bryan. We are also introduced to the creationist stalwart Harry Rimmer. The main person responsible for the rise of modern creationism is the Seventh-Day Adventist George McCready Price and he's the subject of chapter five. Price will come up again in nearly every succeeding chapter. Price, following the Adventist prophetess Ellen G. White, claimed that most of the geological strata was a result of Noah's flood. Through his influence and subsequently John Whitcomb and Henry Morris in their book The Genesis Flood created what has become known as "flood geology" and is one of the hallmarks of modern young earth creationism. Numbers recounts the importance of Whitcomb and Morris in chapter ten. We learn a lot about various creationists and the early associations and societies that were created in chapters six through nine. The first of such organizations was the Religion and Science Association (RSA) and then the Deluge Geology Society. Along the way we also hear about non-flood geology groups like the Evolution Protest Movement and the American Scientific Affiliation (ASA). Those early creationist groups ultimately bring us to the Creation Research Society (chapter eleven) soon after the publication of Whitcomb and Morris's book. Eventually we have the founding of the Institute for Creation Research and finally Answers in Genesis. The expanded edition of the book includes a chapter on intelligent design where we learn about how that movement got its start and culminates with the 2005 Dover trial. Numbers ends the book with a discussion about the explosion of creationism throughout the world. This is the go to book on the history of modern young earth creationism and one that I highly recommend. I read the 1991 edition of this book, so it doesn't address the rise of the intelligent design movement. Ronald Numbers' "The Creationists" provides a unique look into the history of a unique movement. Numbers himself, despite being an unbeliever, is very fair to movement creationists and treats them accurately. He dismisses a number of common myths concerning the movement's birth and practices. He begins with Darwin's theory itself, noting that its scientific critics had disappeared within a couple of decades. Add a couple more decades, and you began to see "creationists", especially among the fundamentalist movement. Yet, these creationists were of a different kind than contemporary movement creationists. Virtually all of them held to an ancient earth, and reconciled this with their high view of Scripture by appealing to the "gap theory" of Genesis 1. The gap theory suggests that Genesis 1:2 describes the destruction of the Earth (the Earth "became" without form and void, in their view) and the six days are simply the renewal of the world, not its creation. One man stood against this view, however: George Price. Price was a Seventh-day Adventist who believed the writings of Ellen White to be inspired by God. White's writings left no room at all for old-age creation in any form, and he attempted to rebuild all science on new foundations. Especially key to his arguments in "The New Geology" were examples of the geologic column "out of order." Thus was born the common creationist claim that there isn't any such thing as the geologic column. Price's young-age views began to spread well outside his own Adventist denomination, and he trained students: most importantly Harold Clark and Frank Marsh, who provided the foundations for modern creationist geology and biology, respectively. Clark disagreed with his mentor and argued that there really was a geologic column, and that it was produced by the differentiation in ecological zones before the Flood. Monumental in creationist history, of course, was Morris and Whitcomb's "The Genesis Flood" which brought about the dominance of young-age creation among evangelical Protestants, as well as its popularity in some other denominations. Its influence even extended to some Catholics and Mormons, who began to participate in the creationist movement. Yet, Numbers illumines some important mistakes in the creationist movement: Gish and Morris appeared to be more interested in evangelism than research. As such, their scientific models were sloppy and often easily refuted. Gish, despite being a credentialed biochemist, was more of a rhetorician than an active scientist. Not only this, but creationists began to attempt to put together textbooks and press for the inclusion of young-age creation in schools by the law. Without well-developed scientific models, such efforts inevitably failed. As the book presses towards its conclusion, signs of hope begin to appear. Kurt Wise went to Harvard and trained as a paleontologist under the famous Stephen Jay Gould: and then proceeded to critique creationist work, despite being a young-age creationist himself. He emphasized the importance of being honest, and founding models on proper and defensible research. Other young-age geologists, such as Steven A. Austin and Andrew Snelling began to undertake fieldwork. And it is here where the 1991 edition of the book reaches its conclusion. Since this time, while some bad habits remain, professionally credentialed creationist scientists have come to emphasize the importance of quality field and lab-work. New and more credible models have been developed, even as much work remains to be done. Andrew Snelling published the new standard for creationist geology, intended to replace "The Genesis Flood." Snelling's work "Earth's Catastrophic Past" is leaps and bounds above its predecessor. It is based on original research, acknowledges where problems still exist, and is written by a professional geologist. The reason I give the book four instead of five stars is because Numbers leaves out an important element of creationist history: the post-Lyell "Scriptural geologists" of the 19th century. This is the true birth of "scientific creationism" from a young-age perspective. These geologists critiqued Lyell's uniformitarian geology from a biblical perspective and attempted to build models of Earth history which were compatible with the biblical story. Most people have no idea that there ever was any such movement, and are under the impression that there was no Christian critique of uniformitarian geology in the 19th century, an impression reinforced by Numbers' book. Despite this flaw, Numbers' work is a terrific and largely objective account of the development of modern scientific creationism, and it is essential reading for those wishing to understand the movement, whether from the inside or the outside. It's rare for an author in this subject area to be cool and dispassionate and simply be a straightforward historian, rather than a propagandist. But that's what Numbers has done and I applaud him for it.